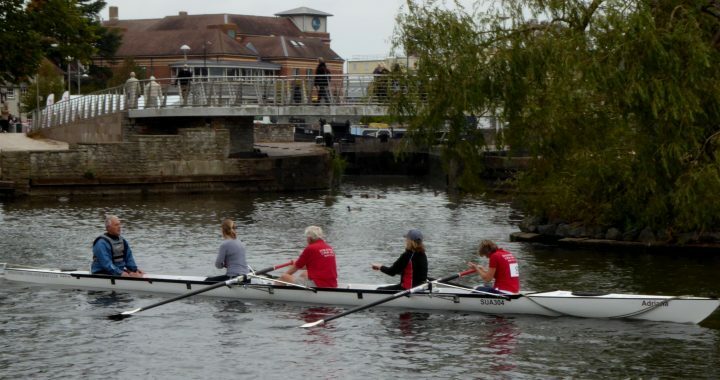 On Saturday, Stratford upon Avon Boat Club hosted its annual Explore Rowing Regatta for rowers who have recently taken up the sport. 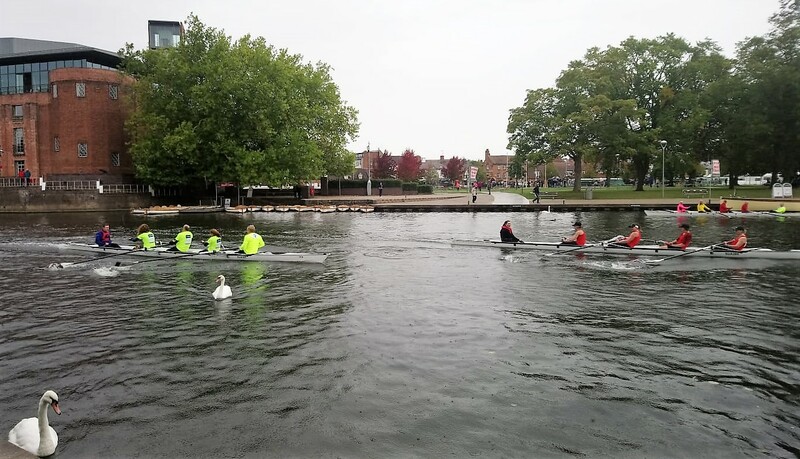 For many, this was their first experience of racing on the water and, despite the soggy weather later in the day, there was huge enthusiasm and a lot of friendly rivalry between the crews. Twelve crews from five clubs across the region including Pengwern, Worcester, Upton, Bridgnorth and Stratford itself competed on a course in front of the theatre from the chain ferry to the Club grounds. Soon after lunch four semi-finalists emerged, two from the Pengwern club at Shrewsbury, one from Bridgnorth and one from the Stratford home club. 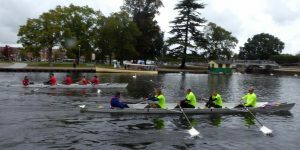 The first semi-final resulted in a dramatic tie as Pengwern B just caught Stratford on the line and the race judge ordered a re-row. 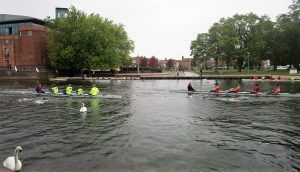 Sadly, the Stratford crew paid the price for a pre-race visit to the burger stand and were not able to maintain their form a second time so Pengwern went through by a length. The second semi saw Bridgnorth comfortably beat Pengwern A and Bridgnorth went on to win the final showing an impressive style to the delight of the cheering crowd. Posted in News and tagged explore.